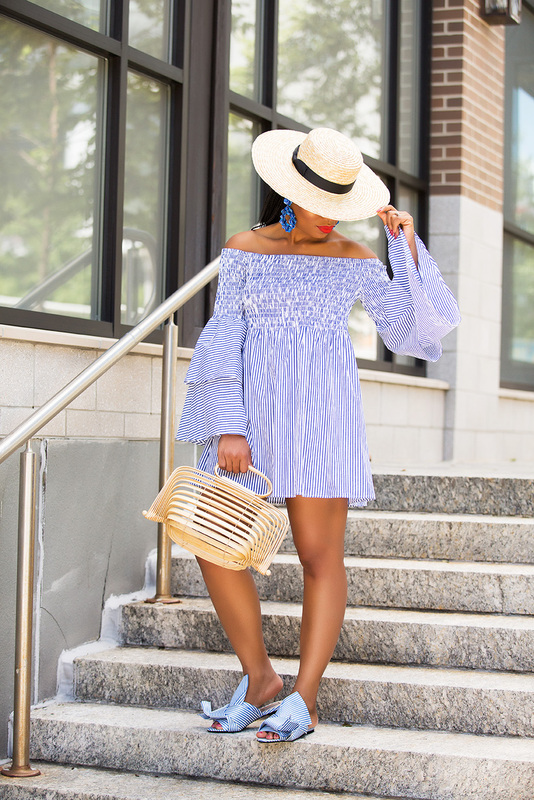 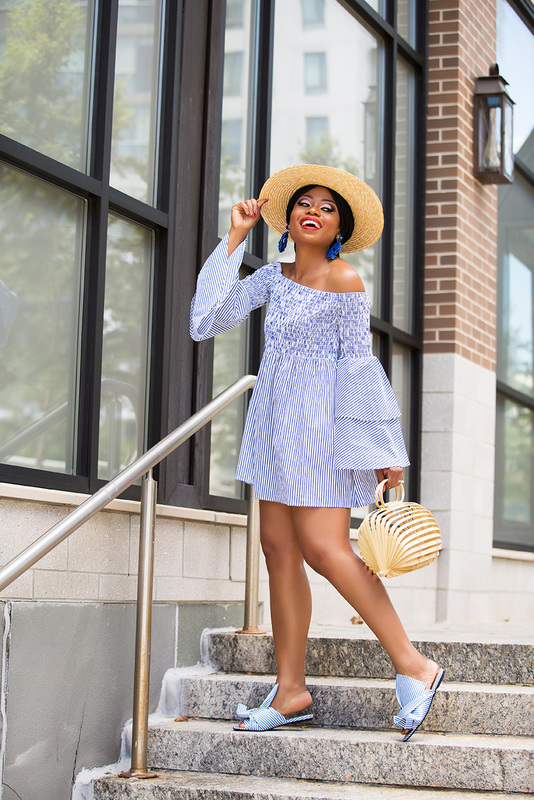 It feels like summer is going by so fast that I often ask myself “Where did summer go?” I am enjoying the last moments of summer and what better way to take on the last summer days than in this Chicwish bell-sleeve off shoulder dress. 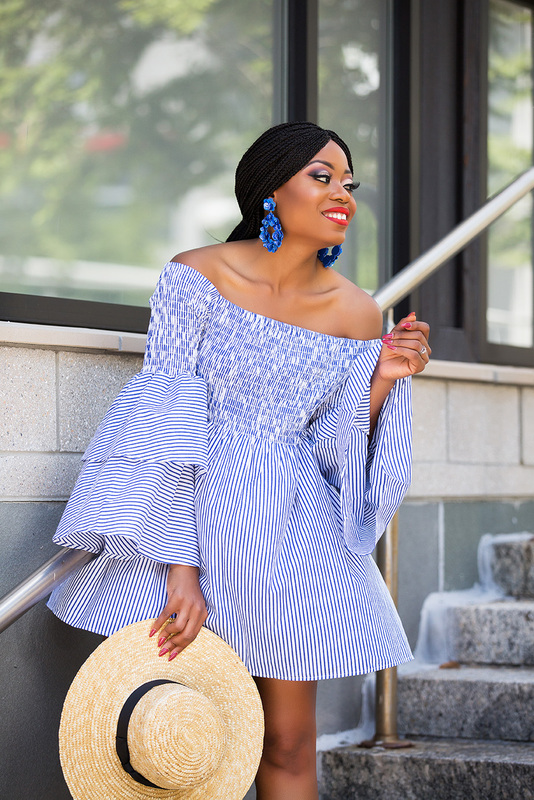 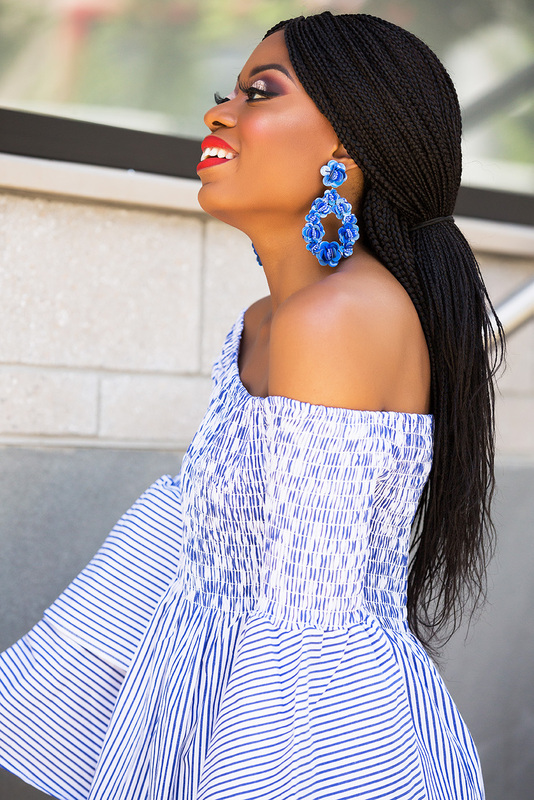 You know how much I love exaggerated sleeves and this stripe pair is a must-have summer dress. 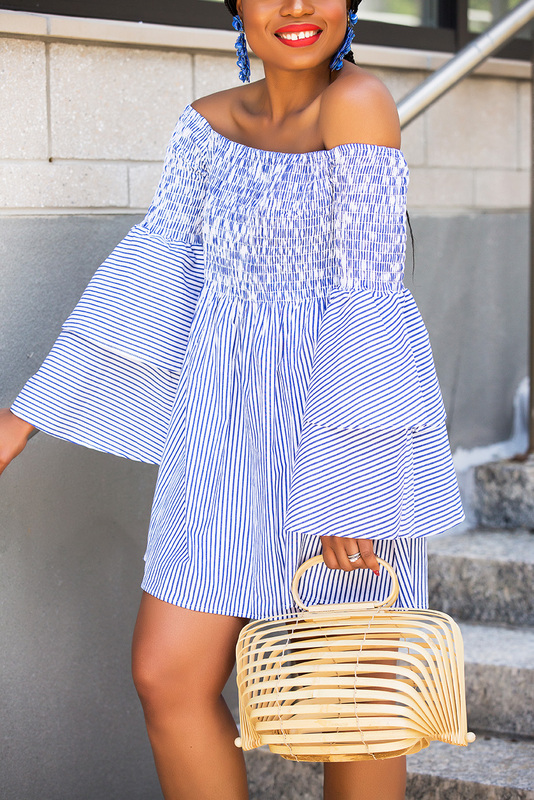 Another great thing about this dress is that I can style it as a top with shorts or with jeans. 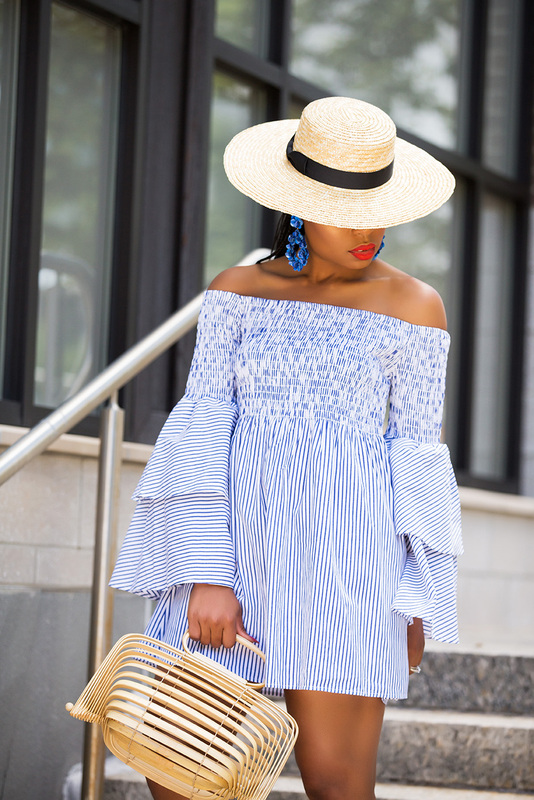 It is a fun and casual dress...perfect for summer and vacation!